A lot of country singers do songs about being a cowboy. 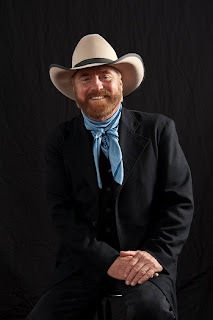 But Michael Martin Murphey doesn't just have the songs and the hat. In a recent telephone interview, Murphey said he operates ranches in Colorado, Texas, and Wisconsin. Murphey used to live in New Mexico. He moved to Taos around 1980 and stayed 20 years, he said. And now, he’s back, at least for a few months. Red River will be his base this summer. And he has a lot planned there — a series of shows plus the release of a new album, Red River Drifter. First of all, there’s a show Saturday, July 6, at the Motherlode Saloon that he’s calling the Cosmic Cowboy Rebellion. The show also features Gary P. Nunn (most famous for writing “London Homesick Blues,” which was later used for the closing theme of PBS’s Austin City Limits), Bob Livingston, Craig Hillis, Herb Steiner, and Paul Pearcy. “All those guys were in my Cosmic Cowboy band,” Murphey said, referring to the early and mid-1970s, when Murphey was a key figure in the progressive country scene in Austin. Murphey said the individual musicians will be playing their own solo sets as well as playing together like the old Cosmic Cowboy days. 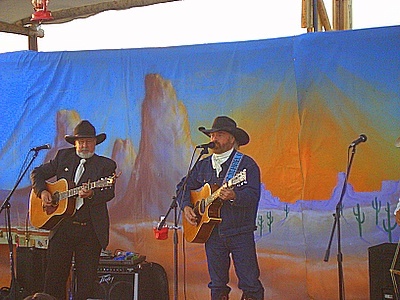 Then there’s Murphey’s new amphitheater in Red River called the Rocking 3M Chuckwagon Stage. “Just three miles up Bitter Creek Road,” he explained. It’s a covered amphitheater near a small lake. Murphey is doing a series of shows at the amphitheater beginning Friday, July 5, and he will be playing music spanning his career. “I’ll be doing my music, all my hits, a lot of cowboy songs.” And he’s not kidding about that chuck-wagon part. The concerts will feature chuck-wagon meals catered by Texas Reds Steakhouse. Good idea — “Murphey sparks wildfire” would be far too tempting for newspaper headline writers across the country. Flashback: The first time I met Murphey was in the summer of 1980 when he played a show at the Paolo Soleri Amphitheater that was great until his surprise guest Roger Miller, who had recently moved to Tesuque, came out on the stage. Miller stepped up to the mike and said, “I live down the road apiece,” strummed a chord or two, and all of a sudden the clouds opened up. The rain refused to quit, and the show was stopped for fear of electrocution on the uncovered stage. Miller must have been cursed. Next time he performed here — a big show with Barbara Mandrell at the Santa Fe Downs a couple of years later — it rained like crazy again. All this and a new album too: Red River Drifter is released next week. It’s an all-acoustic album with bluegrass overtones — especially the upbeat “Peaceful Country,” which opens the CD. 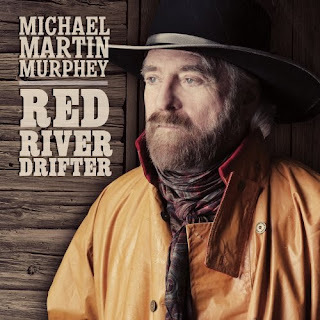 Like all Murphey albums in the past several years, it’s produced by his son Ryan Murphey, an accomplished songwriter and guitarist. The best song here is a funny one, “Shake It Off,” which Murphey sings with Pauline Reese. It’s got one foot in bluegrass and one foot in the blues. It could almost be an old jug-band song from the 1920s. “Faded Blues” is basically a western take on Thoreau’s adage, “Beware of all enterprises that require new clothes.” It tells of a poor kid whose girl leaves him for “a sharp-dressed dude, kind of a high-brow cat.” This tune has some tasty Mexican-style guitar that would make Marty Robbins proud. 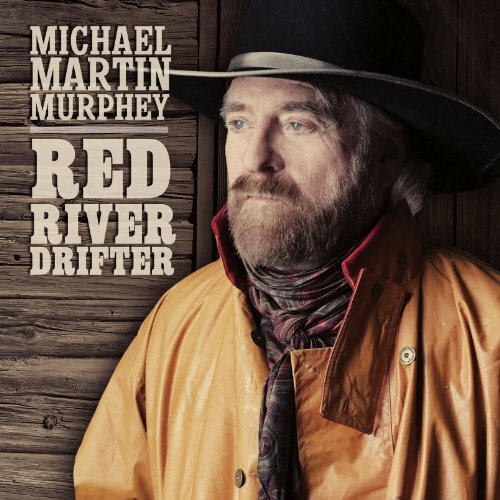 From the beginning, Red River Drifter is full of gorgeous melodies, the sweet, sentimental tune called “The Gathering” perhaps being the best example. It’s good to know that New Mexicans will have plenty of opportunities to hear those melodies up close this summer. The Cosmic Cowboy Rebellion show is at 8 p.m. Saturday, July 6, at The Motherlode, 410 E. Main in Red River. Tickets are $42 (VIP tickets $60). Murphey’s shows at the Rocking 3M Chuckwagon Stage are scheduled for 8 p.m. Friday, July 5; Tuesday, July 9; and Thursday, July 11; and continue through Aug. 31. The theater is at 178 Bitter Creek Road, Red River. Tickets are $58, $52 for seniors, and $29 for children. Tickets for all the shows are available at www.tix.com and by calling 575-754-6280. UPDATE: 9:30 am Sunday The spelling of Steve Fromholz's name has been corrected. Here's "Shake It Off" from the new album. And below is a song Murph sang last year at the memorial service for our mutual friend Erik Ness. This one still chokes me up.